Ken joins the Johnson-Shoyama Graduate School of Public Policy after more than 28 years with the Saskatchewan Public Service where he held numerous senior leadership roles within the Ministry of Justice and Attorney General and more recently the position of Deputy Minister of the Ministry of Social Services. While with the Minister of Justice and Attorney General, Ken focused on mediation and collaborative problem solving. He was involved in establishing the very first court annexed mediation program in Canada and regularly provided dispute resolution policy advice to government departments, agencies and crowns. During his time as Assistant Deputy Minister for the Courts and Civil Justice Division of the Ministry of Justice and Attorney General, Ken lead an initiative to bring together a number of independent parts of the system including the Judiciary, court administration, Prosecutions, and member of the defence bar to work collaboratively to improve processes within the justice system. As Deputy Minister of the Ministry of Social Services, Ken oversaw a number of changes in how Saskatchewan delivers child welfare services, and championed work with respect to services for people with disabilities including the development of the Provincial Disability Strategy. 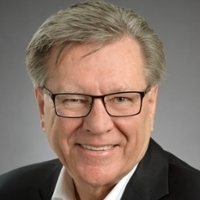 He oversaw the development of Saskatchewan’s Poverty Reduction Strategy and the redesign of many of Saskatchewan’s housing programs to better meet the needs of the provinces most vulnerable. Throughout his career Ken has served on or chaired various committees, and public sector and not-for-profit boards. Ken was awarded the Saskatchewan Centennial Medal in recognition for his work in mediation and collaborative problem solving. And then in 2017, he received the Institute of Public Administration of Canada’s Lieutenant Governor’s Gold Medal for excellence in Public Administration.